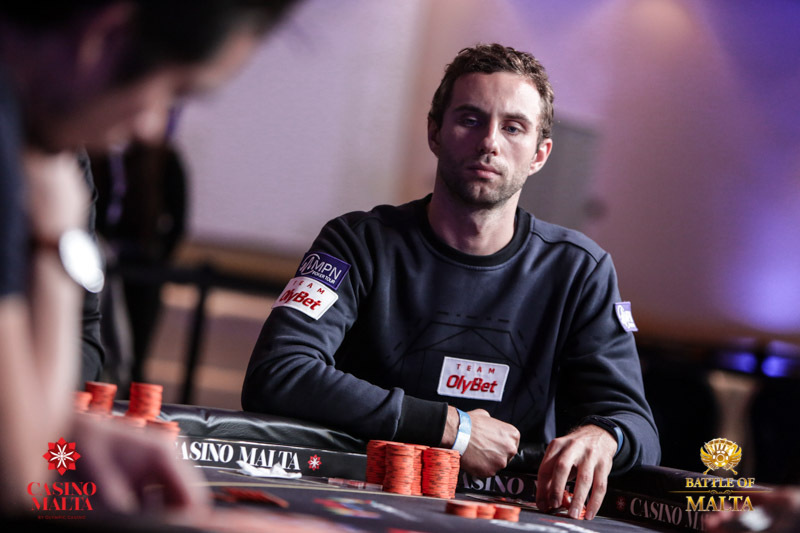 As mentioned Mantas Urbonas was down to just a couple of big blinds, but managed to double up twice against Erik Ostergaard. Now Urbanas was almost back in contention with 12 big blinds but he eventually lost his 3rd all-in against the Dane. Ostergaard opened with A♠ A♦ and Urbonas got A♣ Q♥ behind him, moved all-in and of course Ostergaard called. The board fell Q♥ J♥ 6♣ 4♣ 4♥ and wasn’t not enough for Urbonas. Urbanas is out in 4th position and will have to settle for the agreed-upon deal money, €121,500. *According to a five-way deal.